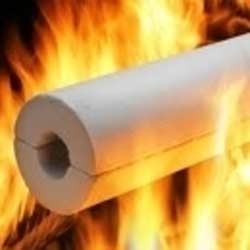 We are engaged in manufacturing, wholesaling and distributing a wide range of Asbestos and Non Asbestos Packaging Products that includes asbestos, ceramic fiber, glass fiber, fiberglass and Teflon products. These are fabricated using high grade raw material and are developed as per the latest technology. Our range of products caters to the needs of various industries. Size (Inches) 12 In. X 4 In. X 2 In., 9 In. X 3 In. X 2 In., 9 In. X 4 In. X 3 In. A Fire Brick, Firebrick, Or Refractory Brick Is A Block Of Refractory Ceramic Substance Used In Lining Furnaces, Kilns, Fireboxes, And Fireplaces. 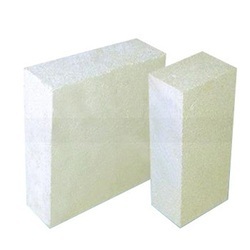 A Refractory Brick Is Built Originally To Endure High Temperature, But Will Also Usually Have A Low Thermal Conductivity For Higher Strength Energy. Normally Dense Firebricks Are Utilized In Applications With Extreme Mechanical, Chemical, Or Thermal Stresses, Such As The Inside Of A Wood-Fired Kiln Or A Furnace, Which Is Subject To Abrasion From Wood, Fluxing From Ash Or Slag, And High Temperatures. In Other, Less Hard Conditions, Such As In An Electric Or Natural Gas Fired Kiln, More Permeable Bricks, Usually Known As "Kiln Bricks" Is A Valid Choice. They Are Weaker, But They Are Much Lighter, Easier To Form And Insulate Far Better Than Dense Bricks. In Any Matter, Firebricks Should Not Lose Their Strength So It Should Hold Up Well During Rapid Temperature Changes. 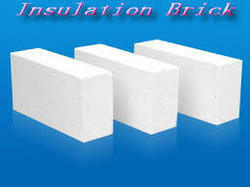 We are considered as an eminent exporter and trader of an exclusive range of Perlite Pipes. This Perlite Pipes is used in different applications like petroleum refineries, petrochemical and chemical plants etc. They are available with different sizes and appreciated for their features like light weight, easy to operate, high strength, constant performance. Thickness : 38 & 50 mm. Casting Powder of Imperial World Trade gives a very effective lubricating coating separating solidifying metal and mold thereby inhibiting adhesion of solidifying metal from the mold surface. 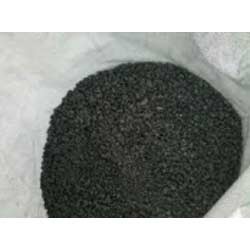 Moreover, the Casting Powder promotes sufficient concentration of metal by facilitating rapid heat discharge from the melted metal and enhances the quality of a metal surface. We submit premium quality Casting Powder at a very attractive price to our buyers. Insulation materials run the array from massive fiber materials, for example, fiberglass, shake and slag downy, cellulose, and regular strands to inflexible froth sheets to smooth foils. Bulky materials oppose conductive and - to a lesser degree - convective high temperature stream in a building hole. Unbending froth sheets trap air or an alternate gas to oppose conductive high temperature stream. Very intelligent thwarts in brilliant obstructions and intelligent protection frameworks reflect brilliant high temperature far from living spaces, making them especially valuable in cooling atmospheres. Different less regular materials, for example, cementitious and phenolic froths and vermiculite and perlite are additionally accessible. Looking for Insulation Materials ?